GENEVA, 2017-May-23 — /Travel PR News/ — Textron Aviation Inc., a Textron Inc. (NYSE:TXT) company, is displaying its new super-midsize Cessna Citation Longitude for the first time in Europe at this week’s 2017 European Business Aviation Convention and Exhibition (EBACE). The Longitude on display is the fourth aircraft to join the test program, and is the first flying test aircraft with a fully fitted interior. The aircraft is being used to evaluate systems related to the overall passenger experience and technologies in the cabin. With four aircraft flying in the Longitude test program, the company has tested various systems and technologies throughout the last eight months including avionics, stability, handling and cabin technologies. The program team has also completed many important development and certification tests such as the ultimate load testing, which evaluates the maximum forces the fuselage and wing can endure, as well as extreme climatic and environmental testing at the U.S. Air Force’s McKinley Climatic Laboratory at Eglin Air Force Base in Florida. The first Longitude flew in October 2016 and to date, the flight test program has amassed more than 230 sorties, accumulating over 450 hours. A fifth and final flying test article will join the program this summer, showcasing the company’s dedication and commitment to getting the aircraft in the hands of its customers. The company anticipates achieving Federal Aviation Administration certification by the end of this year (2017), followed by European Aviation Safety Agency certification next year (2018). With a range of 6,482 kilometers (3,500 nautical miles) and full fuel payload of 726 kilograms (1,600 pounds), the Longitude is poised for the European market by connecting city pairs such as London to Dubai, Paris to Boston or Geneva to New Delhi. The aircraft is set to elevate passenger expectations in this class of aircraft by delivering the quietest cabin, lowest cabin altitude (1,814m), more standard features, and a comfortable, bespoke interior with a superior fit and finish. With seating for up to 12 passengers, including an optional crew jump seat, the Longitude features a stand-up, 6-foot tall flat-floor cabin. A standard double-club configuration allows the most legroom in the super-midsize class. Fully berthable seats are designed and manufactured in-house and a class-leading walk-in baggage compartment is accessible in flight. The clean-sheet design of the Longitude integrates the latest technology throughout the aircraft, bringing customers the lowest ownership costs in this class. It features the next evolution of the Garmin G5000 flight deck and is powered by FADEC-equipped Honeywell HTF7700L turbofan engines with fully integrated autothrottles. With optional head-up display and enhanced vision capability, the Longitude facilitates eyes-up flying. The spacious cockpit incorporates easier access and an ergonomic design that fully focuses on crew comfort and efficiency. Textron Inc. is a multi-industry company that leverages its global network of aircraft, defense, industrial and finance businesses to provide customers with innovative solutions and services. Textron is known around the world for its powerful brands such as Bell Helicopter, Cessna, Beechcraft, Hawker, Jacobsen, Kautex, Lycoming, E-Z-GO, Greenlee, Textron Off Road, Textron Systems, and TRU Simulation + Training. For more information, visit:www.textron.com. Certain statements in this press release are forward-looking statements which may project revenues or describe strategies, goals, outlook or other non-historical matters; these statements speak only as of the date on which they are made, and we undertake no obligation to update or revise any forward-looking statements. These statements are subject to known and unknown risks, uncertainties, and other factors that may cause our actual results to differ materially from those expressed or implied by such forward-looking statements, including, but not limited to, the efficacy of research and development investments to develop new products or unanticipated expenses in connection with the launching of significant new products or programs; the timing of our new product launches or certifications of our new aircraft products; our ability to keep pace with our competitors in the introduction of new products and upgrades with features and technologies desired by our customers; changes in government regulations or policies on the export and import of commercial products; volatility in the global economy or changes in worldwide political conditions that adversely impact demand for our products; volatility in interest rates or foreign exchange rates; risks related to our international business, including relying on joint venture partners, subcontractors, suppliers, representatives, consultants and other business partners in connection with international business, including in emerging market countries; difficult conditions in the financial markets which may adversely impact our customers’ ability to fund or finance purchases of our products; and demand softness or volatility in the markets in which we do business. 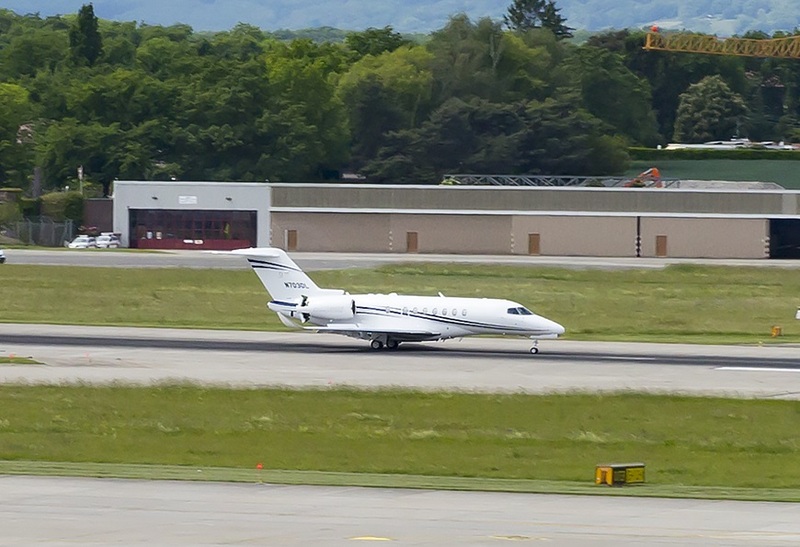 This entry was posted in Business, Festivals and Events, Transportation, Travel, Travel Management, Travelers and tagged 2017 European Business Aviation Convention and Exhibition (EBACE), Europe, Rob Scholl, The new super-midsize Cessna Citation Longitude. Bookmark the permalink.